I've said it over and over again here on this blog, I've 'met' some of the most amazing people through this experience. A couple of weeks ago, I got an email from Jodie who was in the process of making the sunburst mirror and was very excited about it. We chatted a few times over email. Last week, I got the kindest email, asking me if I wanted a candle for a giveaway. I excitedly and graciously said yes. It came in the mail yesterday and let me tell you it is absolutely delicious and adorable! It's ﻿made by the Swan Creek Candle Company and made with 9oz of American Soybean Wax and measures 6"L x 3"H x 4"W with a 35+ hour burn time in the most delicious Roasted Espresso scent. I opened the box and could not believe how incredible it smelled. Look how cute these are! Here's the one we will be giving away. Isn't it adorable and the smell is amazing. So here's your chance to enter! The giveaway winner will be announced Monday, May 2nd. Required entry = leave a comment letting me know you are a follower. For fun = If you want to do any of the extras (you know the drill) Facebook, Tweet, Blog about my giveaway, I'd love you for it and just leave me a comment letting me know what you did. And for even more fun = I just started my facebook account for JandJHome and a twitter account. Join in and get extra entries!!! You can see my Twitter and Facebook link on the left side bar. Leave me a comment letting me know you joined. Thank you so much for entering and for the sweetest reader I have, Jodie...big hug. 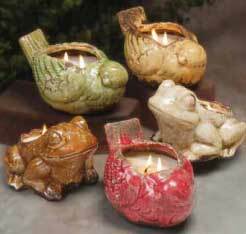 If you are interested in ordering one of these adorable candles, email me and I'll send you Jodie's information. I follow publicly through google connect and love candles. I've been following since the beginning (my how you've grown!). Great giveaway! I follow your blog! I love those candles! Posted it on my Facebook page! Would love to see how it smells, sooo cute!! I Tweeted you giveaway at MsCindylu2u!! Yeah, that's me, following you on twitter! I tweeted this! I want to win!